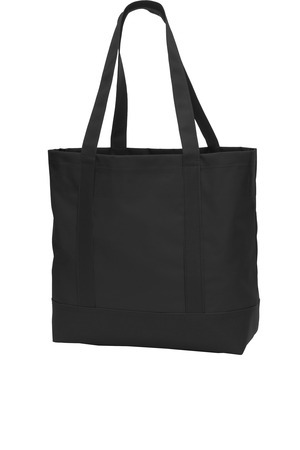 Description: This classic, go-anywhere tote is perfect for the beach, market and beyond. 600 denier polyester canvas, Self-fabric handles. Dimensions: 14"h x 14"w x 5.5"d.